Well, me dears, if you are really keen on worms, you should be aware that ISEE8 - the 8th International Symposium on Earthworm Ecology will take place in Krakow during early September. It will cover the full range of earthworm biology, from the molecular to the ecological levels of organization. Fundamental and applied aspects will also be addressed. There we are then. Rachel from Wiggly Wigglers has attended the last two ISEEs, in Cardiff and Chicago, and says they were mind boggling! 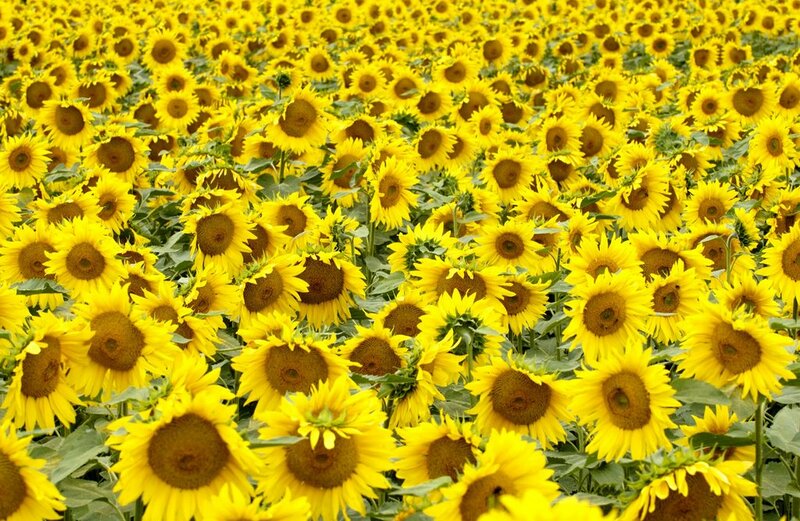 Farmer Phil's Sunflowers are BLOOMING lovely. Thanks to Jeff Morgan for taking this photo in the field on Thursday. Yesterday Jodie picked 50 stems for a couple's Golden Wedding Anniversary - I can't think of anything more appropriate! Check out today's Western Daily Press for a great article about Social Media - blogging and podcasting that actually features Wiggly Wigglers - hurrah! Its my own fault, what did I expect when I named a perfectly sensible company (!) Wiggly Wigglers. I've seen it all Wiggley Wigglers, Wiggely Wiggelers, Wiggly Wogglys, Wiggly Worms, Wiggly Gigglers (I like that one) and the usual Wriggly Wrigglers, Wriggly Worms, and Wiggly WRIGGLERS. So anyway Wiggly WRIGGLERS has made The Times and it is us.......as usual. Ricardo, the roving reporter, has wiggled his way to Cornwall for a "Big Thoughts" interview with Tim Smit - founder of The Eden Project and, indeed, one of my other favourite places The Lost Gardens of Heligan. Tim speaks eloquently and commandingly and explains to Richard how he came upon his idea and how he actually put the whole thing into practice. Richard and he end up head to head - literally - on the environmental impact and benefits Eden has. Riveting listening. My favourite Wiggly Podcast EVER! Ever want to know how a Combine Harvester works? This week's podcast - number 43 - is possibly the first ever podcast direct from the cab of a combine harvester. Here at Lower Blakemere Farm Phil is busy combining grass seed and Richard finds out how the process works. He also finds out about lots of the farm's wildlife and why it's there. 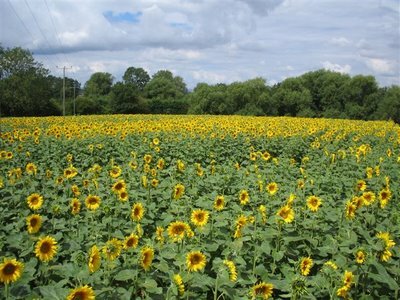 With all the barley in the grain store and most of the grass seed harvested, the only crops left are the peas, the wheat and ...our first ever crop of Sunflowers! 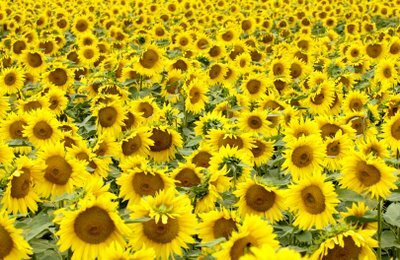 The sunflowers have been grown for bird seed. Jodie has taken this piccy this evening of how they look, just at the moment.